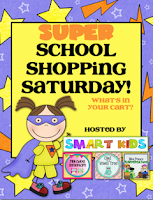 Pinkadots Elementary : Super School Shopping Saturday!!! Who doesn't like to go shopping with the girlfriends?! 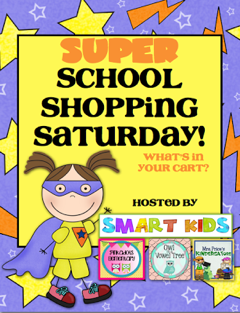 This fun linky party gives you a sneaky peeky into everyone else's shopping cart. 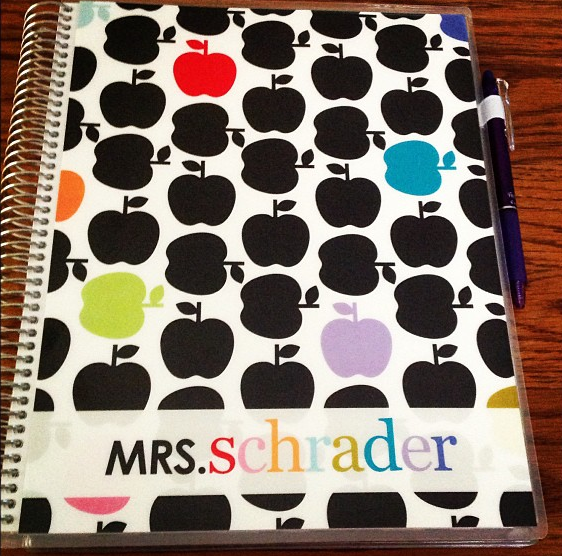 Snap some pictures of your back to school finds. 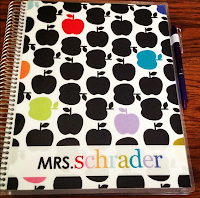 Blog about your school supplies. Put the image above on your post and link it back to this blog. 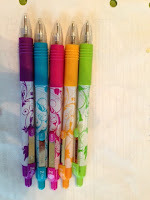 Then come back and add your blog to our linky party. 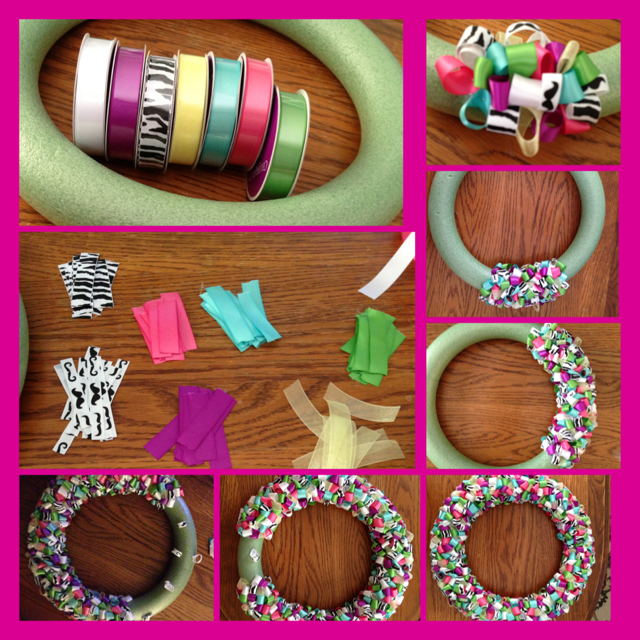 Did you know there is a $1.00 section at Michael's Craft Store? I don't know if it's always there or if it was my lucky day...but I scored. 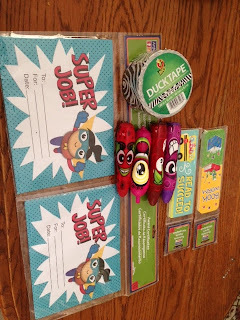 I plan on creating a homework club in my classroom this year and when students survive a month of homework, I will give them these super cute (Super Job) cards to take home. I also got some bookmarks to add to the student's survival kits I give out on the first day of school AND some Scentos markers, highlighters, and pens (.49/ea). I bought some zebra duct tape to fix up my mail boxes too. I wanted to do some DIY crafts for my room this year and started with a classroom wreath. I bought a wreath, pins, and seven rolls of ribbon at the store and got to work. I ended up adding some mustache ribbon to the wreath too...so there were 8 spools actually. 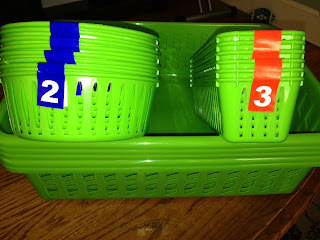 This project was not kid friendly and was difficult to do with a 1 & 3 year old running around the house, but I managed. Thank you to Instagram for giving me the push on this project. 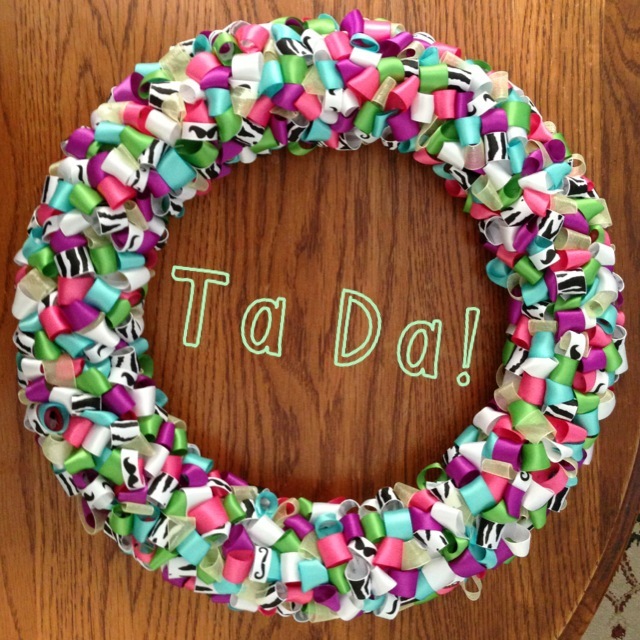 I pinned it last year and my friend, Robin, over at The Bomb-Diggity Classroom, posted her completed wreath on Instagram along with specific instructions on her blog. It inspired me. I am NOT completely done with it yet, I still have something exciting to ADD to this. I will update you with a NEW picture when finished. 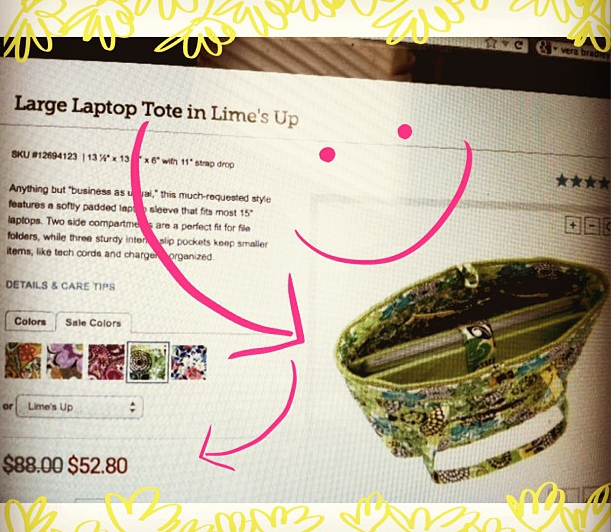 Silly Instagram ALSO clued me in on this amazing sale at Vera Bradley...where I purchased my new laptop/teacher bag in a pretty lime green color WITH a gift card!! Wohoo! 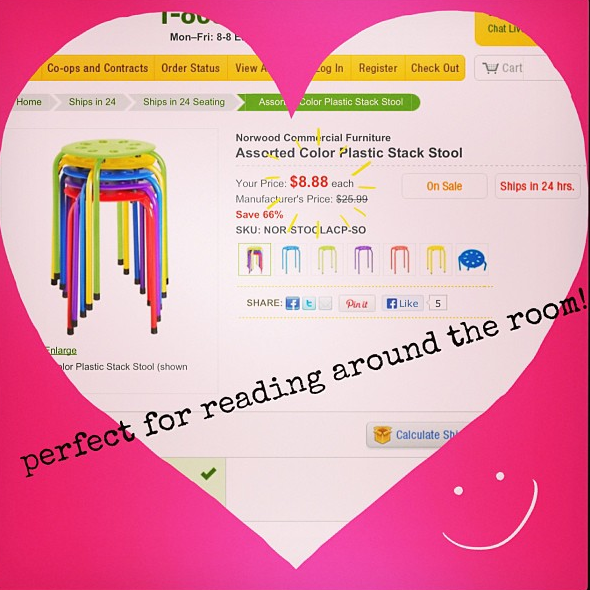 And on Instagram, I heard about the sale at School Outfitters for these AWESOME classroom stools! I can't wait to place these around my classroom so kids can get comfy during reading time. They were actually $8.88 each! Awesome price, if you ask me! I am still contemplating wrapping the legs in the zebra duct tape...what do you think? Last, but not least, I received an email from Smile Makers offering me something from their website to review on the blog. They have SO much on their site, it took me forever to pick something out. I decided on something useful for everyone. Since pencils disappear in my classroom daily, I thought it would be the perfect opportunity to stock up! I was overjoyed to find a giant pencil kit full of fun pencils the kids are going to LOVE. This is seriously going to help out SO much. After sharpening one of the pencils I realized they are great, they aren't the type that crumble in the sharpener, they actually sharpen, write, and erase without smudges all over the paper. This will make one happy teacher and a ton of happy fourth graders! 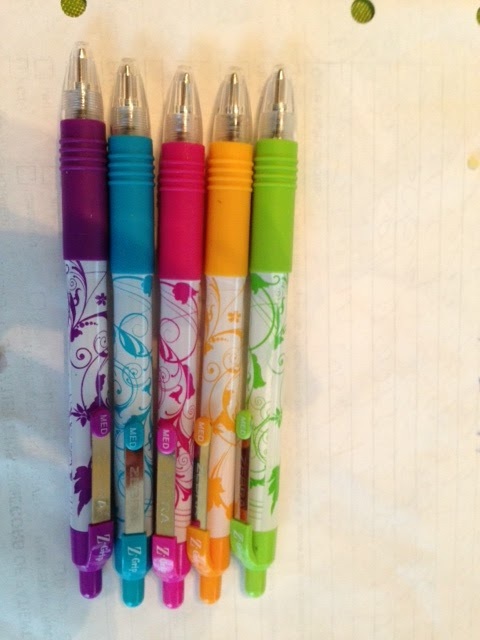 I am considering purchasing a giant container of fun erasers to go with these pencils when I save up some money. 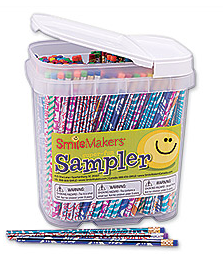 Smile Makers is definitely the place to go back to school supplies. 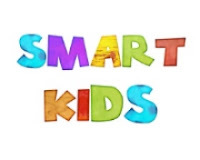 They have a teacher perk program too! Check out their website and you will be shocked at how much they offer! Thanks for looking at my recent purchases. Am I done? Absolutely no...I just started! We still have six weeks of summer left, so I have plenty of time. :) I can't wait to see what you are buying and what great sales you are finding, so link up! I love that Vera Bradley bag! So cute! Enjoy! Wow! Great purchases!!! 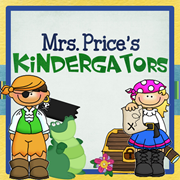 Thanks for sharing and your fantastic finds. I loved your purchases, especially the stools and yes you should wrap the legs with zebra duct tape! I can't wait to see what you purchase and post next week! The wreath is adorable! I recently discovered Michael's "teacher spot" too. 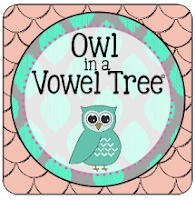 Another surprising cheap teacher store- Dollar Tree! 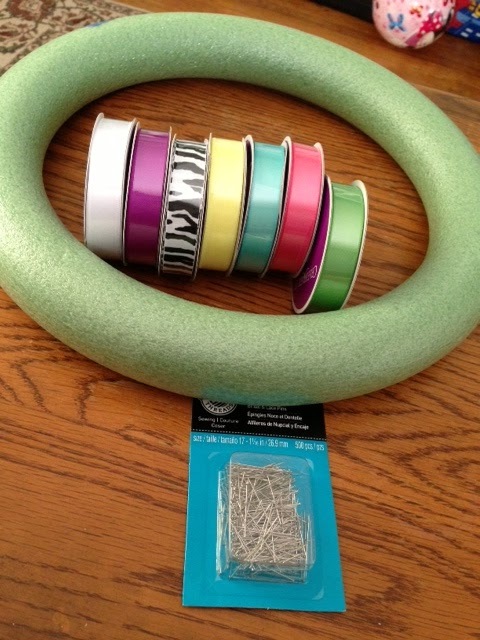 I have bought borders, di-cuts, and many little trinkets for the classroom. I love the wreath! Great job!